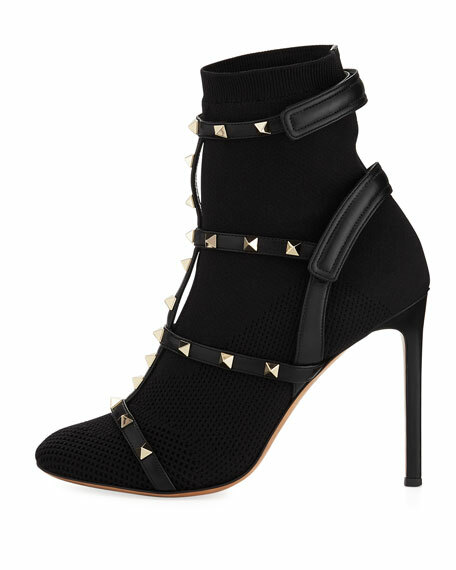 Valentino knit bootie with leather cage. 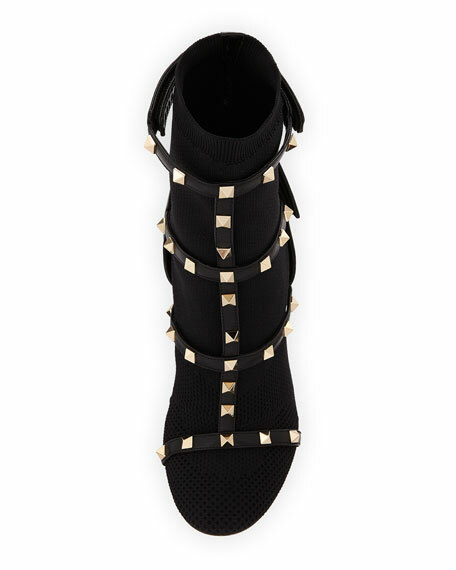 For in-store inquiries, use sku #2353996. 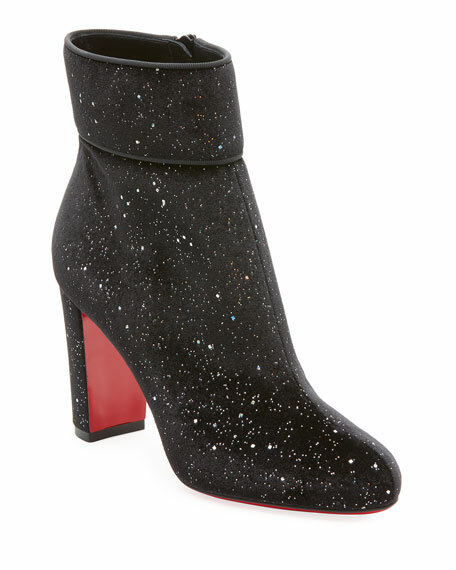 Aquatalia "Ferry" smooth leather bootie. 1.5" stacked block heel. Pointed toe. Side zip eases dress. Buckle detail at side. Leather lining. Smooth outsole. Made in Italy. 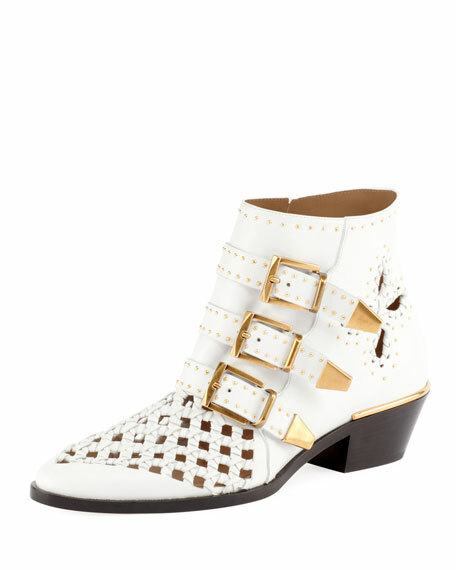 Chloe woven leather ankle bootie with golden studs. 1.3" stacked block heel. 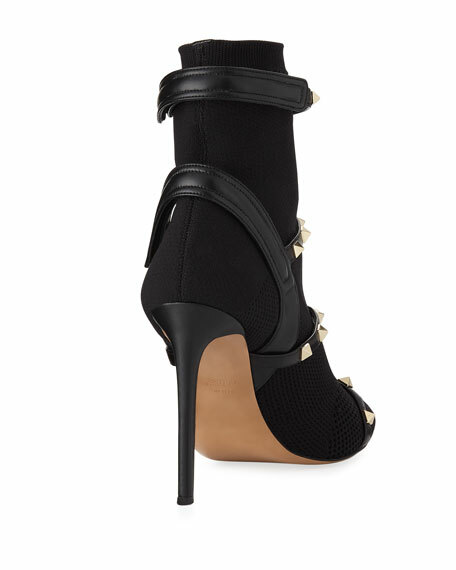 Three-strap upper. Side zip eases dress. Leather lining and sole. Made in Italy.